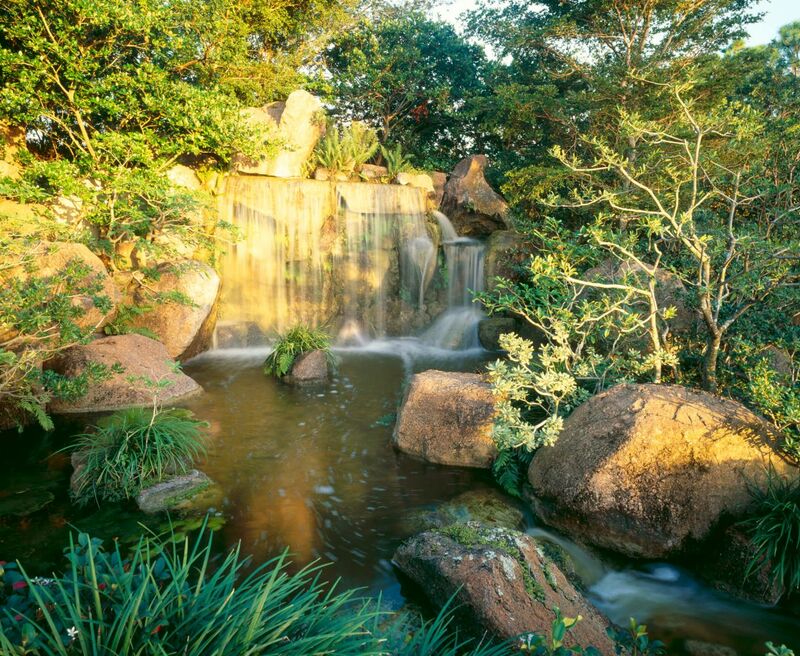 Originally established in 1975 by Palm Beach County in honor of a former Japanese farming colony, the Morikami Japanese gardens were renovated and expanded by Kurisu International in 1999-2001. 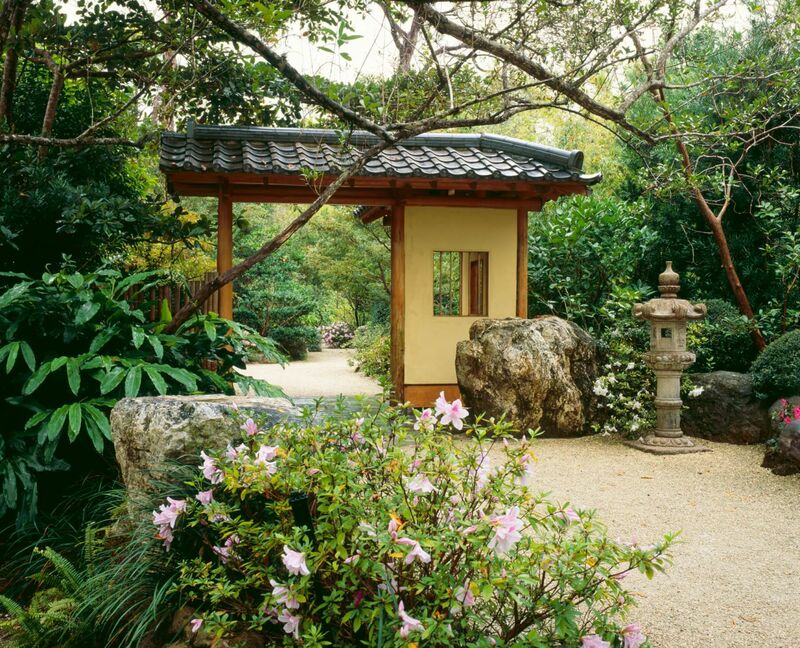 Amid the increasingly technological, urban society of the 21st century, Roji-en, The George D. and Harriet W. Cornell Japanese Garden at the Morikami Museum provides a balm for modern life. 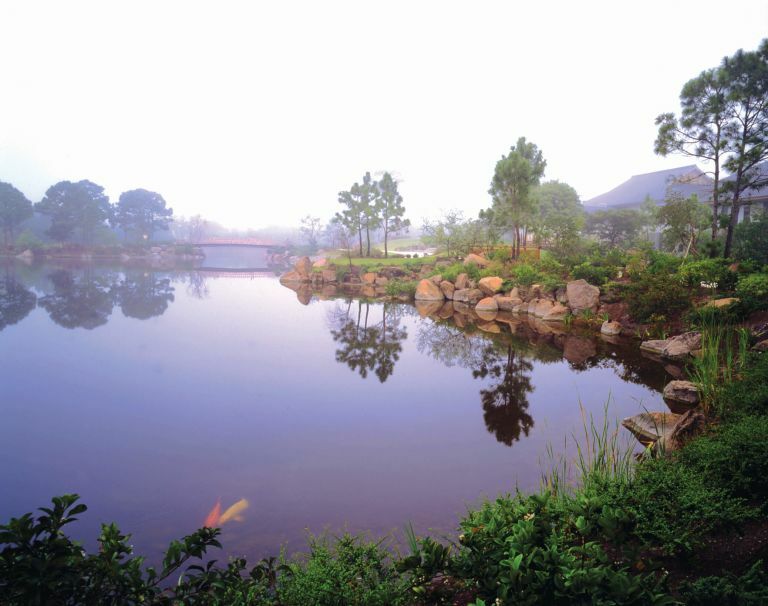 Roji-en was envisioned by Kurisu as a sanctuary for the human spirit – a place where immersion in nature might meet some of our most fundamental human needs. 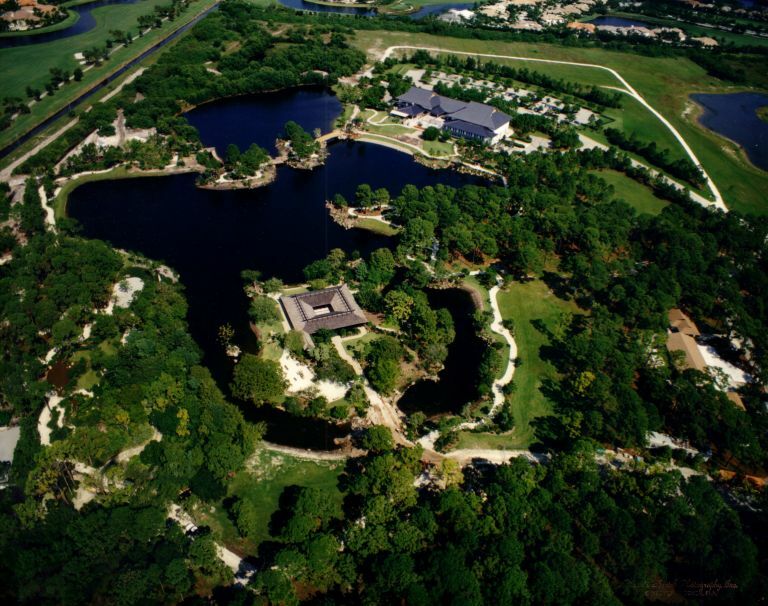 This 16-acre garden is ADA accessible, and over a mile of strolling path surrounding a 7-acre lake links six distinct gardens – each representing historically significant periods of Japanese garden design, beginning in the 9th century. 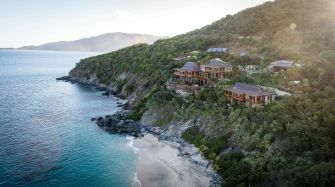 Visitors encounter a bamboo forest, Zen-style dry rock garden, traditional Japanese-style bridges and garden gates built by master carpenters from Japan, a hillside meditation "hut," waterfalls, koi and a world-class bonsai collection. Roji-en has been ranked in the top 10 Japanese gardens in North America by the Roth Journal of Japanese Gardening independent survey. 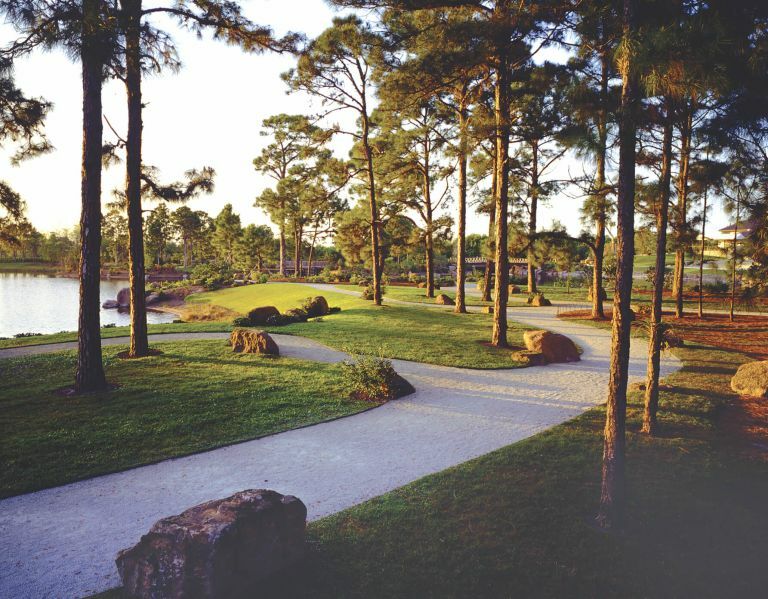 The gardens have also been the site of a clinical study conducted by Florida Atlantic University's School of Nursing, which initially investigated the effects of garden walks on older adults suffering from depression. The study then expanded to diverse focus groups, including among others, cancer patients and their caregivers, and veterans of the Vietnam war. By 2013, over 450 people had participated in these studies at the Morikami Japanese gardens investigating the therapeutic effect of immersion in the garden. Learn more about the Stroll for Well-Being program at Morikami's website. The Morikami's Japanese gardens provide educational, cultural and above all, therapeutic opportunities. They present tremendous potential for many kinds of restorative experiences – whether curative, preventative, or simply inspirational. 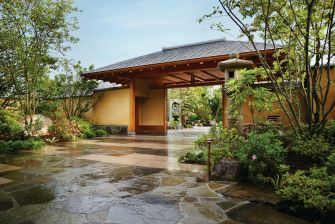 The success of the Stroll for Wellbeing program at the Morikami has inspired other Japanese gardens to create their own stroll for wellbeing programs, such as the one at the Bloedel Reserve in Bainbridge Island, Washington. When I want to be peaceful in my heart now, I just stop and think of the garden. Once he started building, people here at the museum noticed the changes. It really is a sensual and emotional kind of experience. It really does change your mood and your pace. People are going to find this to be a moving experience. Hoichi Kurisu wants you to walk slowly through this garden, listening to the wind that whispers through the pine tree across the lake. Perhaps you'll stop to rest on the cool, smooth surface of granite boulder and then, when all is still, you'll hear it: Your own heart beating a calm and steady rhythm.